I hate how air pollution makes my hair dry and smells bad. Every night I have to wash my hair again, it makes it prone to dryness. More than just smelly hair, pollution causes respiratory diseases and even lung cancer. While there are many causes of air pollution, vehicles remains to be one of the top contributors. Knowing that there are companies who care, making great efforts to make this place a better place to drive in, somehow I am at peace and hopeful. Unioil Petroleum Philippines, Inc. (Unioil) has been recognized for their efforts in protecting the environment by proving safe gas. Started in 1966 with own blending facility in Valenzuela. Unioil is currently engaged in fuels trading, lubricants blending and distribution, specialty oils marketing, and distribution of bitumen (asphalt). This makes Unioil one of the country’s most innovative petroleum companies. The following year, Unioil became the first independent petroleum company to operate a retail franchising network of service stations. Unioil has also been the exclusive licensed blender and distributor of Idemitsu lubricants since 1994. Idemitsu is the eighth largest lubricants brand in the world. Janice Co-Roxas-Chua, Petroleum Philippines chief financial officer, encourages Filipinos to contribute to a better future through the “Doing Our Part” campaign. Unioil has become the pioneer in offering the cleanest and most innovative products in the market. This year, Unioil became the first and only retail station in the Philippines to release a complete line of Euro5-compliant fuels. These are fuels with further reduced sulfur levels, producing cleaner emissions. Unioil’s Euro 5 fuels are 5x cleaner than the current Philippine standard – with a maximum sulfur content of 10 parts per million (10ppm). Unioil president Kenneth Pundanera offers Filipinos better fuel options for their everyday driving. 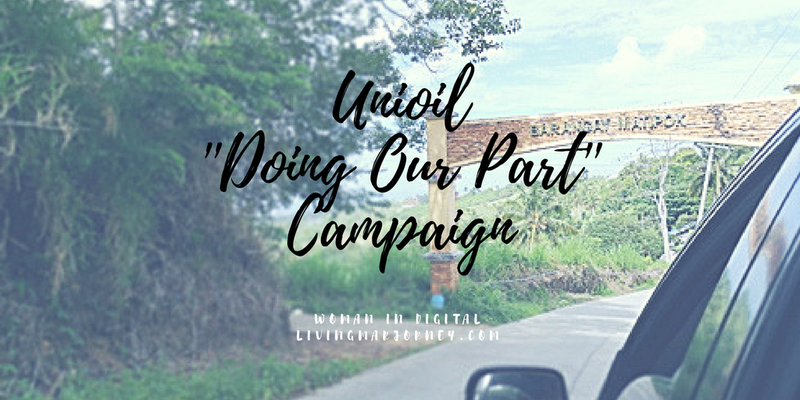 Just the other, Unioil launched its “Doing Our Part” campaign wherein everyone is invited to make meaningful decisions for the community through every day driving with Unioil. Together with Unioil's environmental-friendly fuel options, let's do our part towards a greener tomorrow.